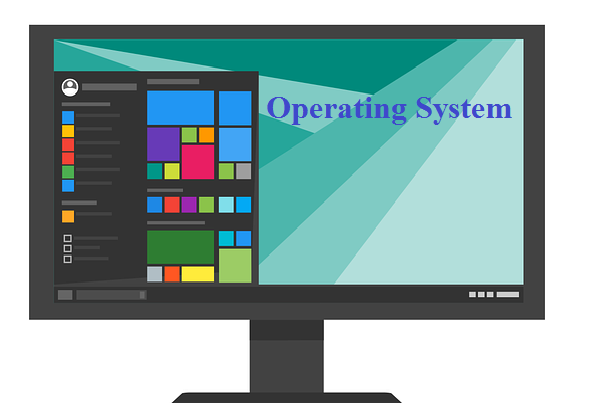 An Operating System is a type of System Software that manages and runs the Computer System. It acts as an Interface between the User and the Computer Hardware and Controls the Execution of all kinds of Programs. The Operating System is an important component of a computer system. Every Computer must have a operating system. Without the operating system, the computer system is useless. It has the same relation with Computer Hardware as the human soul has with a human body. As the human body is useless without a human soul, similarly, a Computer is useless without an operating system. Examples of some commonly used Operating Systems are MS Windows, Macintosh, Linux, Unix, DOS ("Disk Operating System") etc.